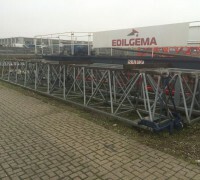 Used Crane Sales Archivi - Edilgema S.r.l. Edilgema has more than forty years of experience in previously owned construction crane sales in the Italian market and abroad. We currently have various models, each suited for various job site needs. 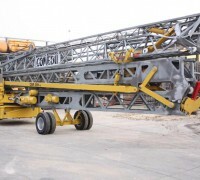 You will find various brands among our previously owned construction crane models, including SAEZ cranes, available in various types, tower and flat top cranes, each with its own peculiarity and functionality. Our vast experience allows us to manage all the smallest details of our products in order to provide you with perfectly operating models at the best possible price. For more detailed information about our previously owned construction crane selection or if you want information on the technical specifications of the various available models, feel free to contact us. © Copyright 2014 Edilgema S.r.l.